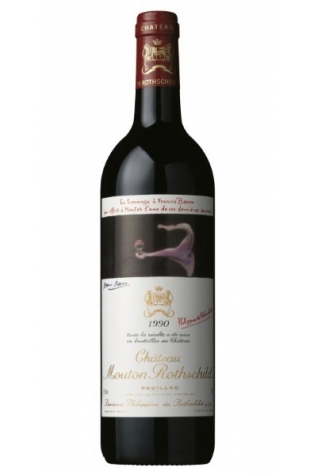 The 1990 vintage of Château Mouton Rothschild is rather an enigmatic wine inasmuch as it was a rather tough and austere wine in its early days for such a ripe, well-rounded year in Bordeaux. Although it is uncharacteristic of Ch. Mouton Rothschild this wine was never as disappointing as has been claimed by some writers upon its release when opinions were divided. This is nonetheless a very nice bottle of red Bordeaux if not exactly a great vintage for Mouton Rothschild. It is now mature and will remain drinking at this level until about 2025. 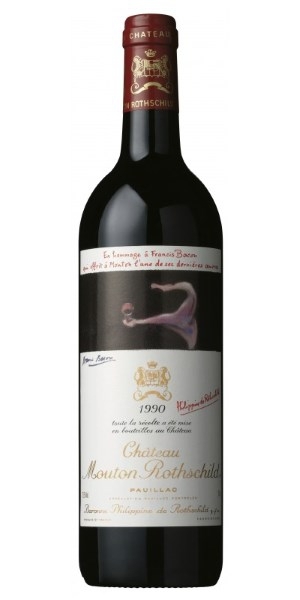 Expect a lighter style of Mouton with suppleness and a medium body. The nose offers tantalising scents of sandalwood incense and its blackcurrant fruit is underpinned by notes of licorice, tobacco, toasty oak and a sous-bois earthiness. 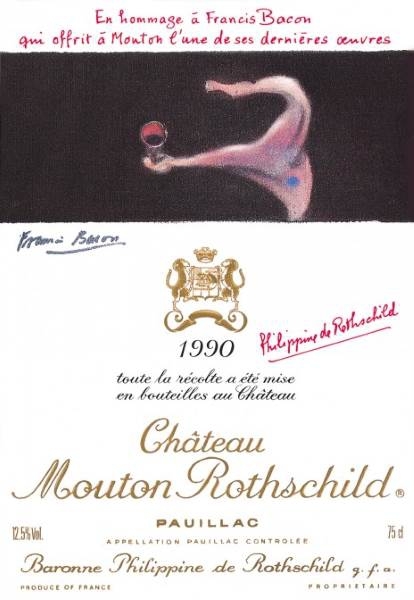 Each vintage of Château Mouton Rothschild features a label designed by an accomplished artist and the famous painter Francis Bacon designed the label for this vintage.